Build a foundation for advanced Forex trading. Whether you’re brand new to trading or you just need to brush up, these 10 courses will get you started. With 8 years of experience, I’ve seen just about every Forex strategy there is. I’ll share those techniques with you, answer your questions, and provide new tips each month. With 12,000+ traders in our community, you can chat about trading, ask important questions, and learn with the most dedicated Forex community on the web! In ForexBoat Academy you will find Nearly 450+ Videos structured in different courses that will guide you through the most complicated Forex concepts in a simple, easy-to-understand manner. See what over 2,500 students love about our Forex learning platform. 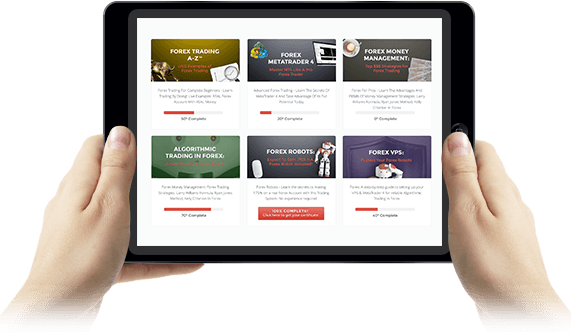 You’ll get powerful trading information sent directly to your email, and you’ll even get free samples of our premium content. Plus the opportunity to join our private forex group and a special slack channel dedicated to the best trading insights. I owe most of my financial success in trading to ForexBoat. Well structured courses and provided knowledge can help anyone to understand and beat the markets! A great life coach once said that you have to learn from someone who has done it all. Kirill has been in the trenches and knows what Real FX trading is all about. The road to forex mastery is bumpy. But with the ForexBoat Trading academy you will get a great hand-holding learning experience and gain confidence quickly.